Progress continues on the South End Zone project at Louisiana Tech University in Ruston. 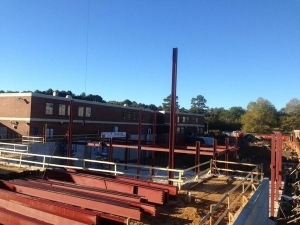 With foundation complete, the project is going vertical with the erection of structural steel. Projected completion date is August 2015.